What goes into making a coffee table book filled with pictures of China’s many peoples? 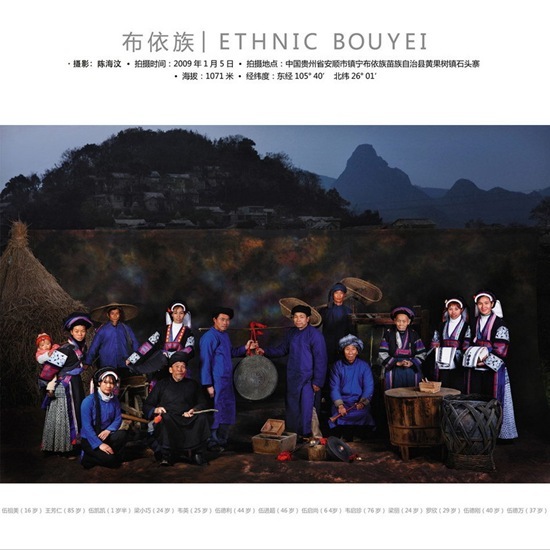 1 year, 56 ethnic groups, and 5.7 million photographs went into such a book, which is titled, “Harmonious China: A Sketch of China’s 56 Ethnicities.” Each ethnic group is shown through a family portrait, its young and old positioned amongst indigenous food, traditional clothing, and native backdrop. The majority of China’s population is ethnic Han. You might recognize this ethnic group from western China because they’ve been in the news a lot this year as it relates to Guantanamo Bay. Another ethnic group is the Dai people from Yunnan province. There is a Dai restaurant about two miles away from my school; we eat there often and the food is delicious.